Alice Lake Provincial Park – Squamish, BC. 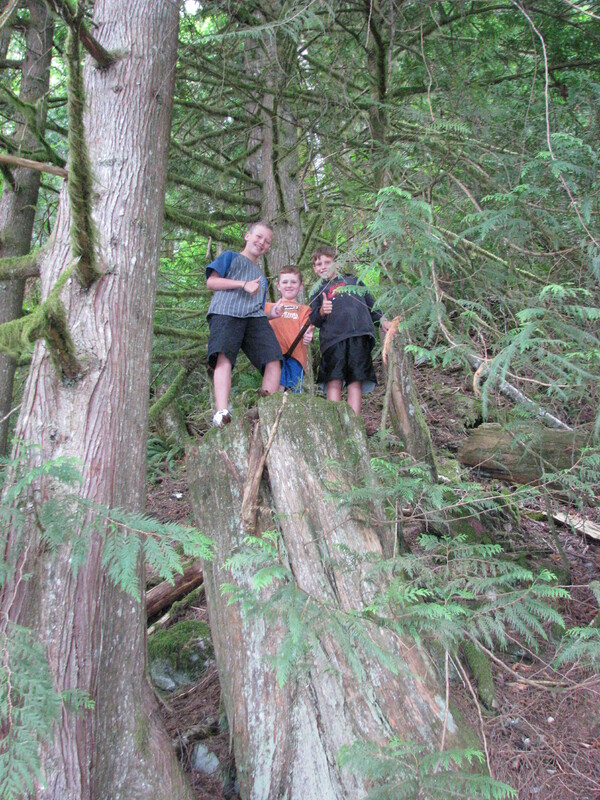 This park is located about 10 km outside of Squamish making it easy weekend access for Lower Mainland campers. Alice Lake is located just off the famous Sea to Sky Highway and right in the heart of some of the best hiking trails in the country. There are 2 lakes with swimming beaches in this park and both have stunning views of the mountains. The campground has just under 100 campsites with about half of them offering electrical hook ups. This is unusual for a provincial park so if you can get a site with power grab it. 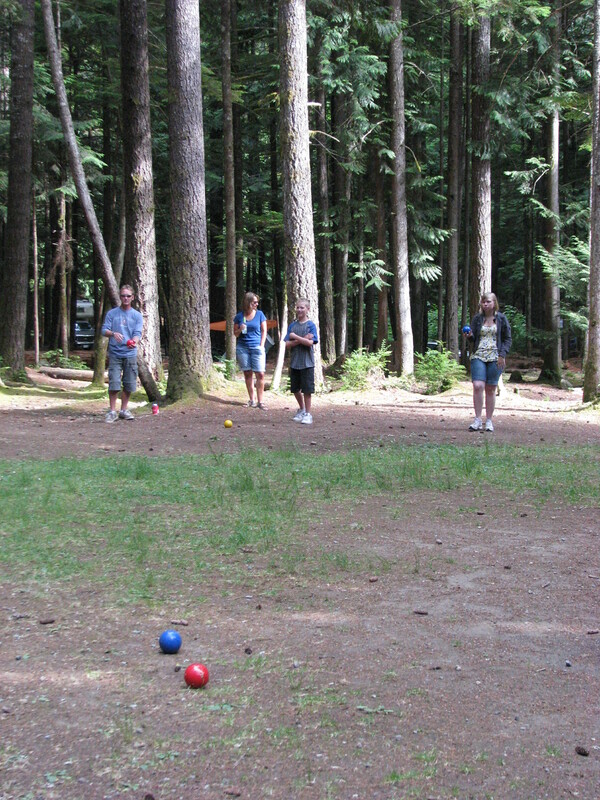 The park offers all the privacy of a typical provincial campground and with its location to Vancouver it is very difficult to get into. Be sure to book 90 days in advance in order to secure a site. Hikers take note, there are endless hiking opportunities available in this area and the variety will suit anyone’s skill or energy level. A friend of mine has a great hiking blog which she details several hikes in this area. Check out her blog at Hiking for the Scaredy Cat. 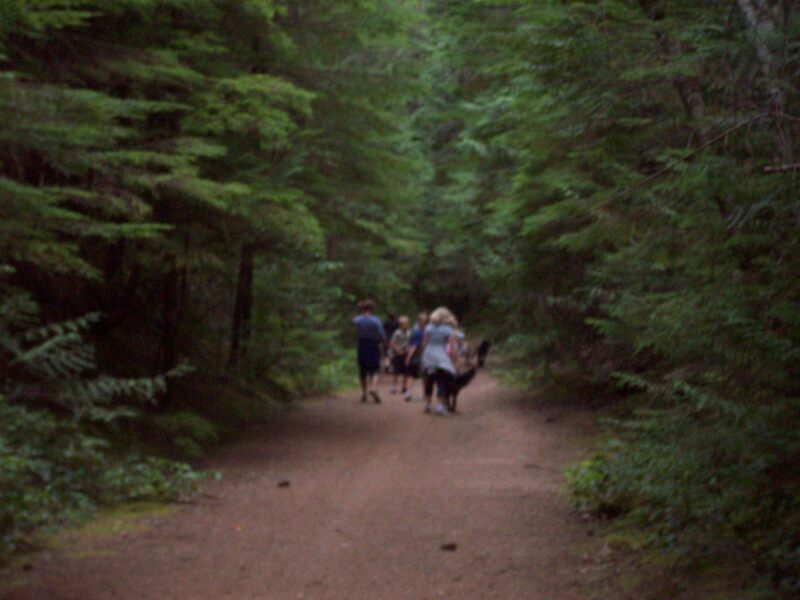 Hiking is free and a great way to see the area. 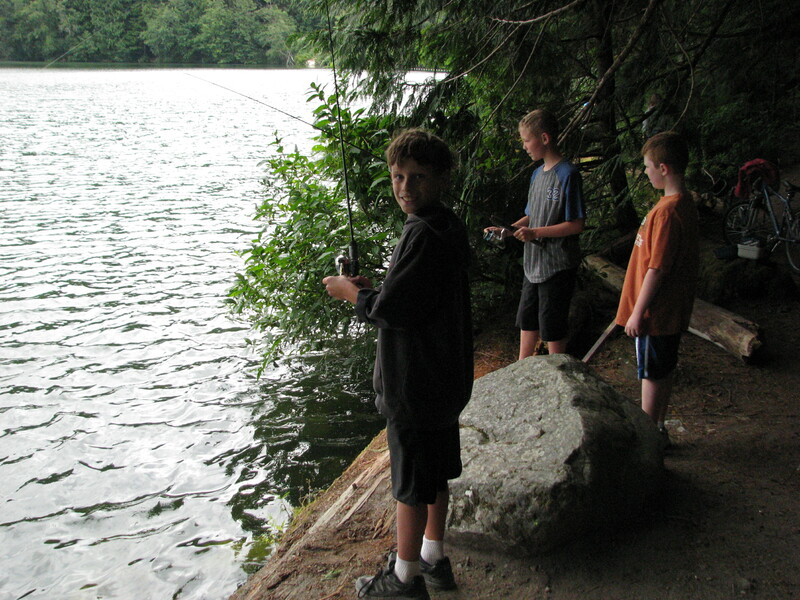 It is also what makes Alice Lake such an appealing campground. Here are a few of the popular hiking spots on the area. 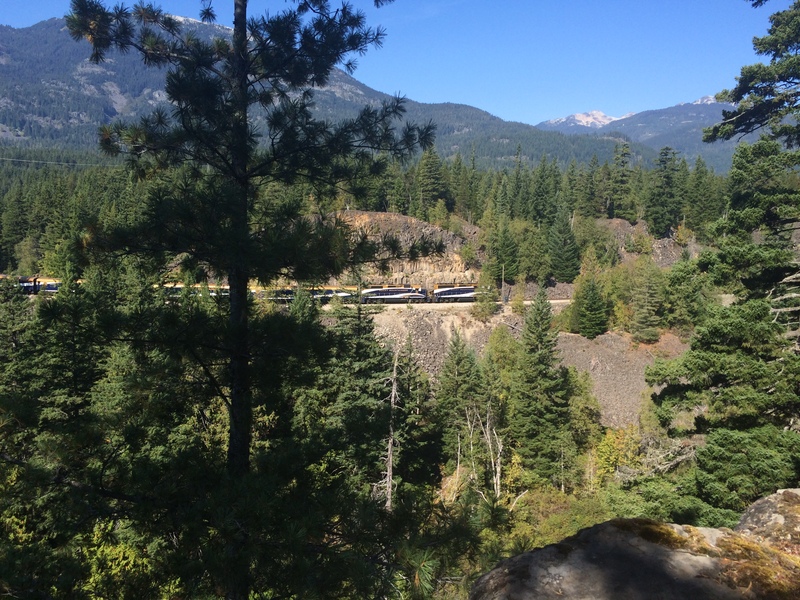 The Stawamus Chief is nearby and that is a very popular but challenging hike in the area. 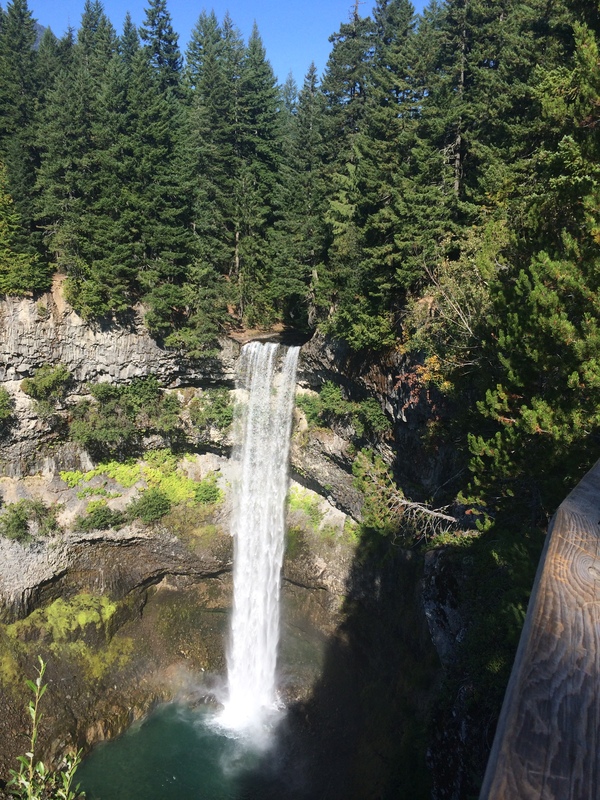 For those looking for an easy yet scenic hike check out Brandywine Falls Provincial Park. 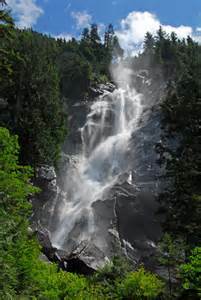 Shannon Falls Provincial Park is a great stop over on your trip to or from Alice Lake and has a wonderful picnic area and some nice hiking options. 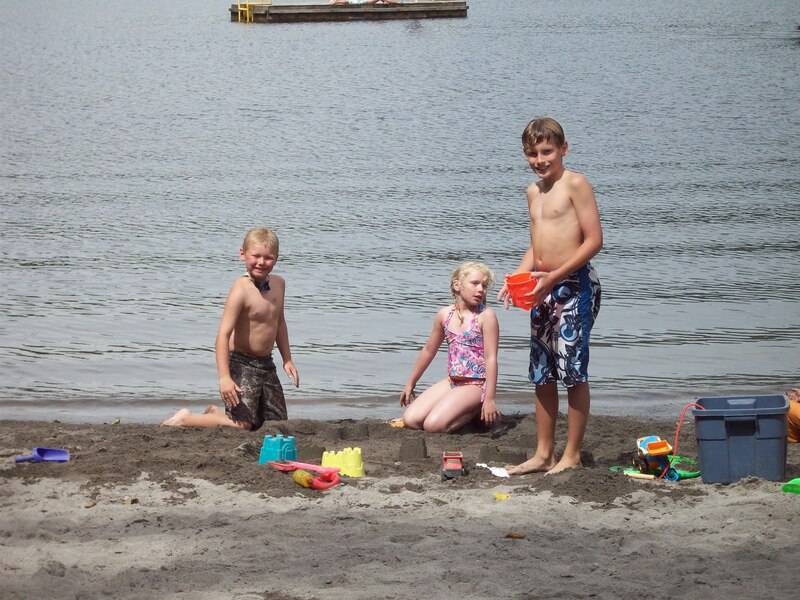 Family friendly activities: this area is packed with activities for the entire family. These are not your typical tourist trap activities, but ones that give you a true flavor of the area and BC history. 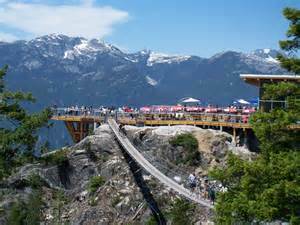 Sea to Sky Gondola: opened in 2014 and is getting rave reviews. I have not gone on it but by all accounts it is worth the trip. I know it is a bit pricey but once you are up there the views and hikes are suppose to be amazing. Pack a lunch and make a day of it. Britannia Mines Museum: listed as a gem by BCAA this museum is a favorite of locals and tourists alike. You can easily spend a day in this museum with plenty of interactive activities for everyone in your group. West Coast Railway Heritage Park: This site offers events through the tourist season such as ” A Day out with Thomas” . If trains are a passion of someone in your group this is a worth while stop. Along with the above mentioned the area is also popular for rock climbing, water rafting, kayaking and mountain biking. Whatever your desired activity remember to respect your environment. You are in the heart of bear country, know how to be bear aware and if you don’t check out my recent Bear Aware Blog. Also pack out what you pack in, when hiking this includes dog poop bags. I hope you have a chance to visit and explore this area. Wait for Whistler when we get to “W” in the A to Z Challenge. Bear! Where was that picture? 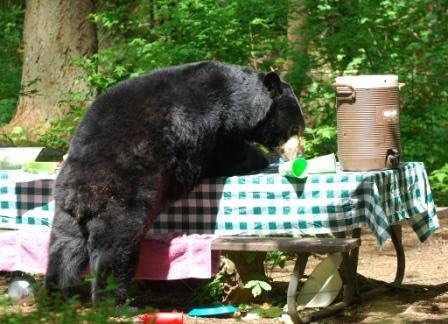 Bears are so common in the Squamish, Whistler area and they are becoming increasingly sensitized to humans that it is risking their safety. Are they grizzlies around there? Or black bears? It’s mostly black bears that make their way I to the urban areas but there are Grizzlies around. ‘t have the time to stop. But the area was stunning. Hopefully we’ll have time to go back this summer! I haven’t gone up yet either but it is on my list. The views are suppose to be amazing so I will plan it for a sunny day. I LOVE British Columbia and envy all their gorgeous scenery and opportunities for outdoor adventure! Yes I agree. When we travel outside BC we often find ourselves appreciating the scenery we take so for granted, if only we had less rain. Can’t have it all. I haven’t been camping in several years. I have been tent camping when I was a kid and the RV camping as an adult. RV camping is much better when you are older and your body can’t handle sleeping on the ground. Great, I am heading over to check out your blog. Thanks for popping by. You’ve had a great A. Lots of great information and it made me want to go camping again, it’s been decades since I got a tent out. Not so sure that I’d be very bear aware though. I should have read “A” before “B”….. this is the place for me! AWESOME! We have plenty of both out here in BC, you should come for a visit.thanks for stopping by my blog.